Thanks to Jerome Phillips, of Phillips of Hitchin Antiques, we have some new additions to the Phillips of Hitchin archives at the Brotherton Library Special Collections. 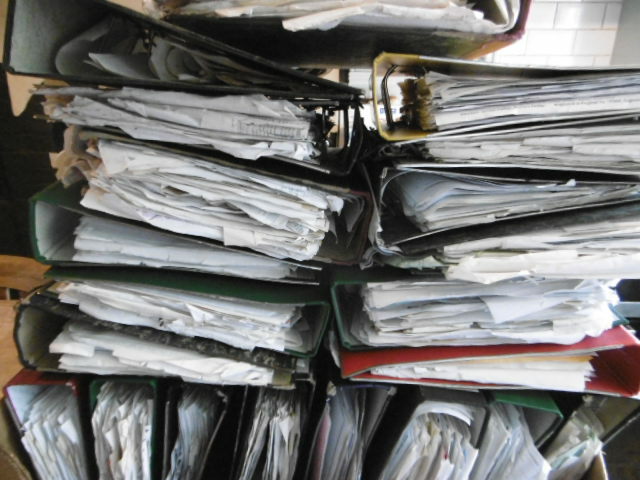 Jerome found a few more boxes of archive material and files of business records during a recent clear-up at Manor House in Hitchin – it was quite a bit of material actually….as this stack of lever-arch files suggests!.. New PoH archive material, ready to catalogue! The new material comprises 21 lever-arch files of business records, a folder with new information on the restoration to the historic clock at Durham Cathedral (a project undertaken by Phillips of Hitchin in 1936), and boxes of photographs and associated ephemera; we’d like to thank Jerome Phillips again for these very generous donations to the PoH archives held at the Brotherton Library Special Collections. Whilst making an initial assessment of the material we came across a little notebook, detailing, it seems, a trip to New York in the period around 1920. 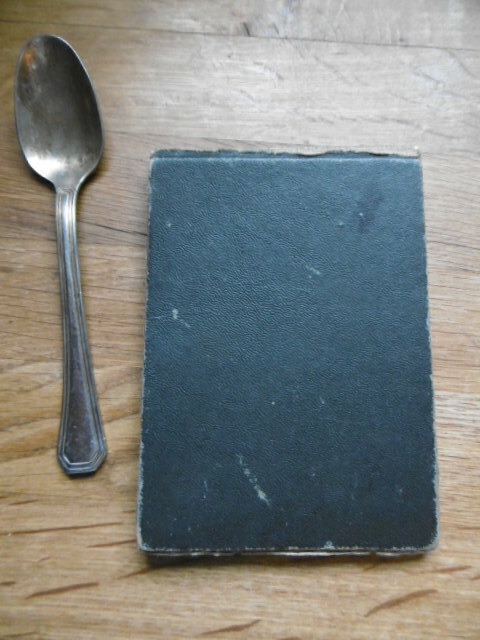 Phillips of Hitchin archive, notebook, c.1920; with teaspoon for scale. Photograph, Antique Dealer Project, University of Leeds 2017. The notebook is a small pocket-size booklet, measuring just 5 inches (125mm) long by 3.5 inches (90mm) wide, and is packed with notes about meetings with individuals, aide memoires, and some beautiful little drawings on things that the person who composed the notebook had seen in New York. It provides a fascinating insight into the activities of an antique dealer in the opening decades of the 20th century. 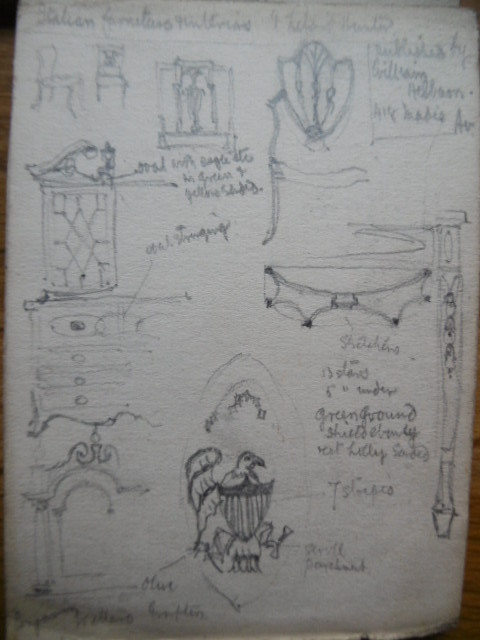 Page of drawings of details of antique furniture. PoH notebook, c.1920; uncatalogued. Brotherton Library Special Collections, University of Leeds. 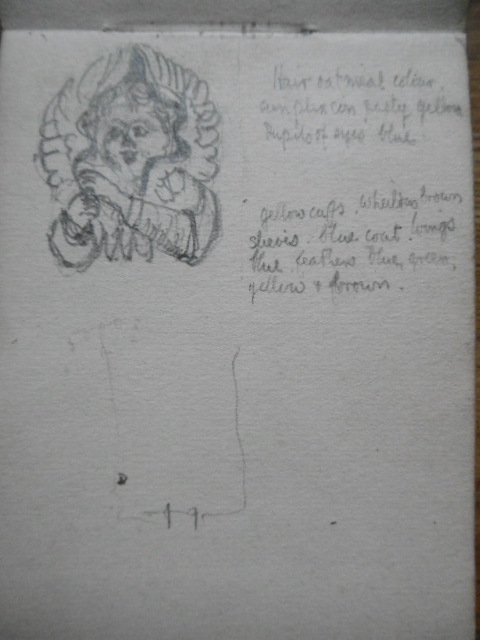 Page of a drawing of a carved figure?, with annotations on colours. 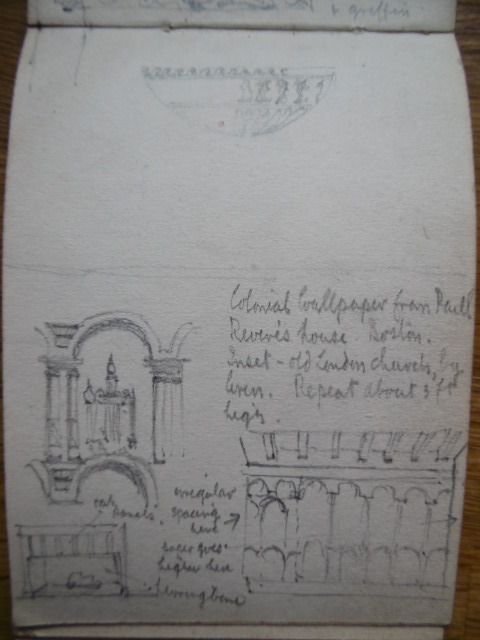 PoH archive notebook, c.1920 uncatalogued. Brotherton Library Special Collections, University of Leeds, 2017. The notebook appears to date from c.1920 (it is undated) and (so Jerome informs us) would have been composed by Aymas Phillips (Jerome’s father) who joined the business in 1910. 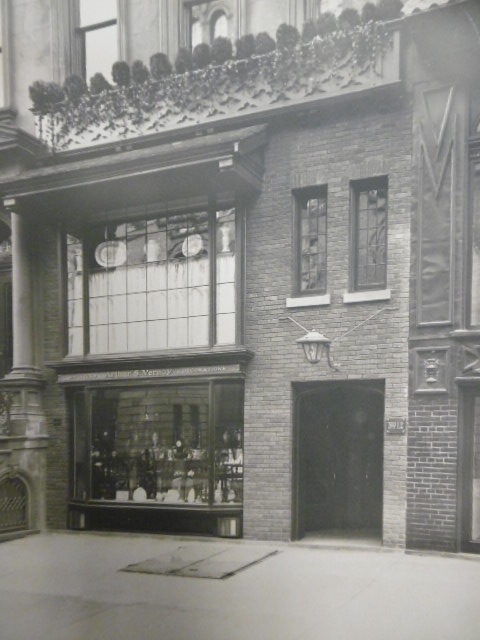 Amyas’s brother, Hugh Phillips took over the business of Phillips of Hitchin following the death of his father Frederick W. Phillips in 1910; F.W. Phillips was the founder the firm in 1884; Hugh Phillips retired in 1935. Amyas would have been very young man in 1910, and was called back from his studies at Oxford to help run the business following the death of his father. Hugh must have had great confidence in the young Amyas in sending him to New York, given that notebook mentions meetings with some very well connected individuals. The notebook itself is a commercially produced ‘Sketch Book’, ‘Series 30’, by the art materials suppliers Windsor & Newton, and cost 1/- (one shilling). Each page remaining in the notebook (there were originally 24 pages, with 22 surviving in whole or part) has annotations and/or drawings, with details of ‘Travelling Expenses’, a hand written list of dollar/pound currency exchange rates, and various notes on places to visit, people to see and things purchased etc. The notebook begins with a note suggesting that Amyas was to begin his travels to New York on the ‘Aquitania’, on ‘4th Dec.’ – ‘sails 1pm, Embark 12 noon’; with another note mentioning that a ‘special train leaves Waterloo 10.10am’ – it seems that Amyas had also reserved a First Class, Smoking, train cabin. 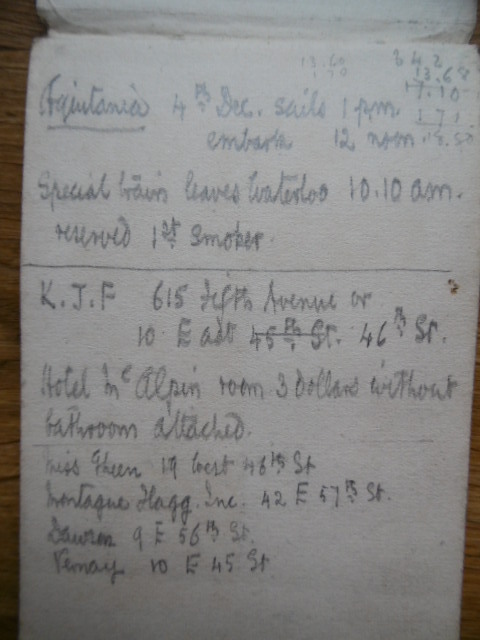 The opening page gives us a first clue to the earliest date for the notebook; the famous ocean liner Aquitania had a maiden voyage to New York on 30th May 1914, making only 3 further round trips before being requisitioned in Spring 1915, during the early stages of World War I. Aquitania returned to service as a passenger liner in June 1919, and this, together with several other clues in the notebook point towards a date of c.1920 for the annotations. One further clue to its date is that Amyas notes a visit to The American Art Association at 6 East 23rd Street; the AAA was established in 1884 as an art gallery and auction house at the address given in the notebook, moving to the corner of Madison & 56th Street in 1922. Amyas also notes that he would be returning to England on either the Baltic (launched 1904) or the Olympic (maiden voyage 1911) – so he was travelling in some style! The page illustrated above also indicates that Amyas stayed at the Hotel McAlpin in New York (in a room costing 3 Dollars, ‘without bathroom attached’) – the McAlpin was at the time the largest hotel in the world, having been completed in 1912 and designed by the architect F. Mills Andrews (1867-1948). Other well-known venues are mentioned in the annotations – The Belasco Theatre (opened in 1907 as the Stuyvesant Theatre, and renamed the Belasco in 1910) and the famous bookstore Brentano’s (opened in New York in 1853); and various museums, including the Metropolitan Museum of Art and the Cooper Union Museum (as it was called then…now known at the Cooper Hewitt Museum (renamed in 1968). Amongst the most fascinating pages is this page detailing a visit to Paul Revere’s House in Boston, (which had opened as a museum in 1908 and remains one of the earliest Historic House Museums in the USA). PoH Archive, notebook c.1920; uncatalogued. Brotherton Library Special Collections, University of Leeds. 2017. The annotation reads – ‘Colonial Wallpaper from Paul Revere’s house, Boston. Inset – old London churches by Wren. Repeat about 3ft high.’ The note is perhaps suggesting that the design would be a good model for the reproduction of a wallpaper (or a fabric? 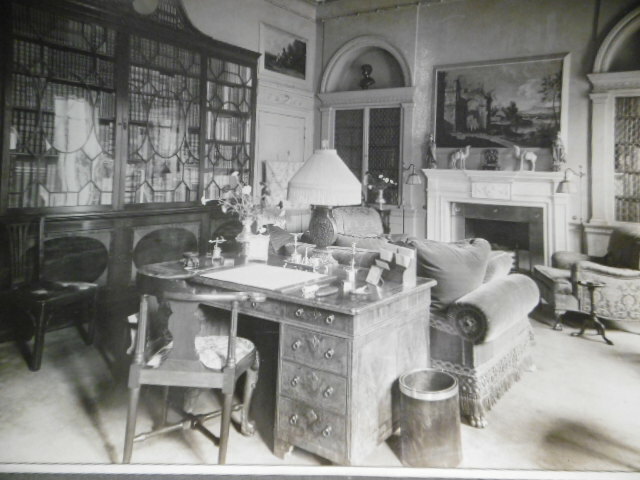 ), which was something that the firm of Phillips of Hitchin were well-known for in the period; they were, in effect, Interior Decorators, as well as antique dealers, as were many other antique dealer firms in the period (see earlier blog posts on Thornton for example). The annotation also demonstrates the keen and attentive eye of Amyas; the drawing is, as one might expect, an accurate illustration of the view encountered by the compiler of the notebook at Paul Revere’s House – here’s a colour postcard from c.1909 of the interior of the house captured in the drawing in the notebook. 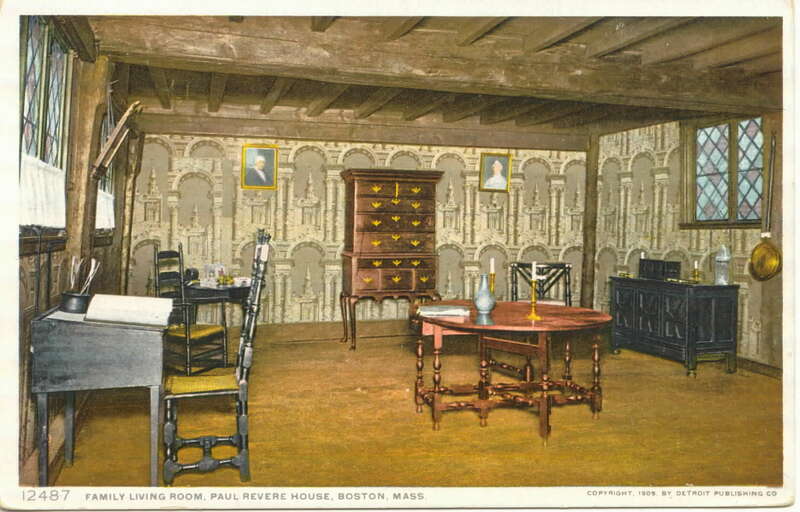 Postcard, 1909, ‘Paul Revere’s House’. Wikicommons. Jerome tells us that he remembers when he was young that his father’s house in Bedfordshire had replica wallpaper based on the wallpaper at Paul Revere’s House! Other pages in the notebook record meetings, or potential meetings, with several antique dealers, including ‘Stair & Andrew’ (the business was established in London in 1911, and opened a branch in New York by 1914); Vernay (established in New York in 1906, and at the address recorded in the notebook (10 East 45th Street) by 1914); and the interior decorators and antique dealers’ Lenygons. There are also several annotations recording meetings with some very well-connected individuals – Amyas jots down a lunch meeting with ‘Mrs Hazel Goepper’ of 859 7th Avenue, on ‘Thurs 6th at 12.30’, and other pages have names of other New York socialites – ‘Mrs Lionel Stahl’ for example. 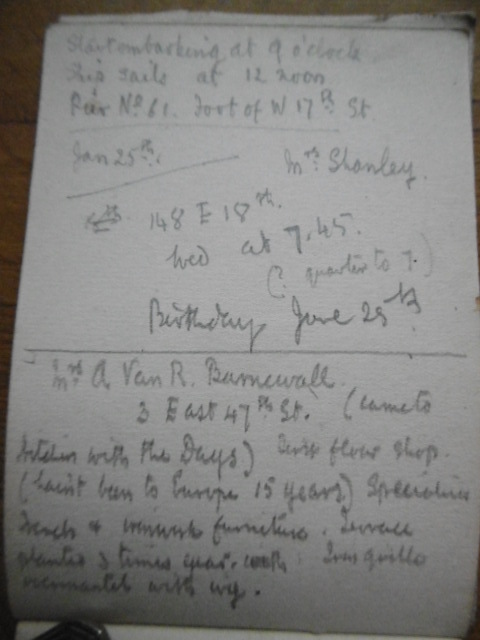 One annotation records a note about ‘Mrs A Van R. Barnewall’ of ‘3 East 47th Street’ (see below). The notebook is a rare survival, recording the day to day business of a leading firm of antique dealers and their relationships with some key protagonists in the USA during the key moment of the American ‘Gilded Age’. This tiny notebook, and all the other fascinating Antique Dealer material donated to the Brotherton Library Special Collections, will provide a rich vein of research, and will soon be available for researchers and scholars. The antique dealer related archives at The Winterthur are an amazing resource, and the archive team there, led by Jeanne Solenksy, are simply great; they are certainly the most accommodating of archive teams (thank you to all!). And thanks again also to Chris Jussel (see previous blog posts) for donating the archive of Vernay & Jussel, and that of J.J. Wolff, to Winterhur archives – it was such a generous, and insightful, thing to do….without such ‘blue sky’ thinking we would not have such rich resources to investigate the history of the antique trade. As you probably know, antique dealer archives in public archive collections are very rare indeed. Anyway, as readers of the blog may also know (see previous blog posts), the dealer Arthur Stannard Vernay (c.1877-1960) was one of the most important dealers operating in the USA in the period prior to WWI and up to the 1960s. He was born in Weymouth, in the UK, and Chris Jussel tells us, (in the oral history interview we did last week) that Arthur Vernay was originally called Arthur Avant, but changed his name to ‘Vernay’ in about 1903 or 1904 when he came to the USA. 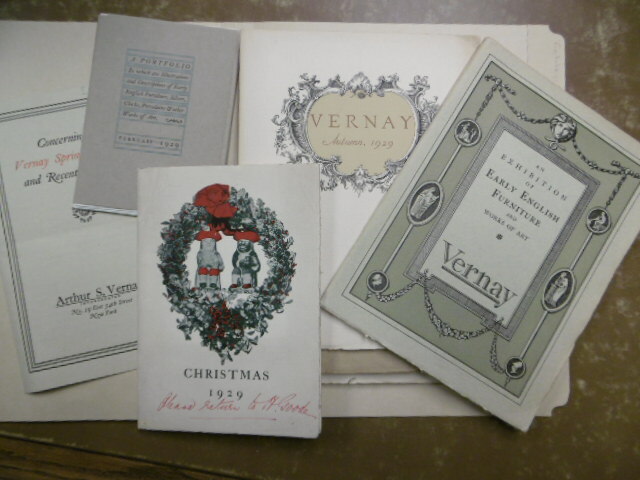 Vernay eventually had shops in New York, and in Boston, Massachusetts, but he also had a shop in London, at 217 Piccadilly, probably in the late 1910s-20s, (217 Piccadilly may also be the same location as Vernay’s address at Trafalgar House, 1 Waterloo Place? 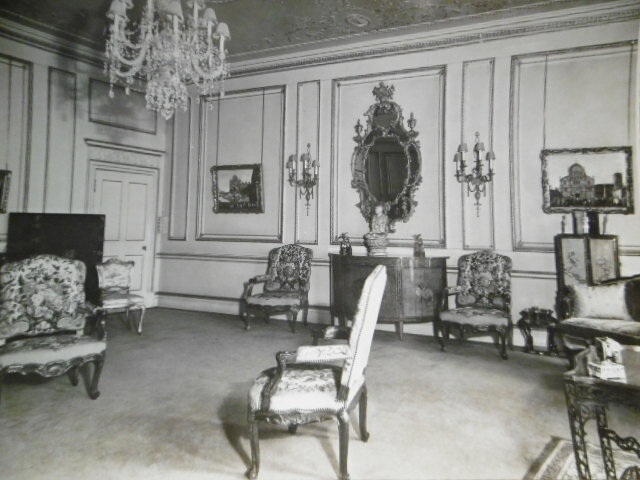 ); Vernay also took a house at 51 Berkeley Square in the late 1920s, which also possibly operated as a showroom too. So whilst he is primarily an antique dealer with associations in the USA, he qualifies as a suitable subject for the present ‘Antique Dealers in Britain in the 20th century’ project by virtue of his shop in London. FYI – Vernay is also famous for his interest in collecting animal specimens, many of which he donated to the American Museum of Natural History, in New York – indeed the ‘Vernay-Faunthorpe Hall of South Asiatic Mammals‘ named in 1930 after Vernay and his friend and fellow explorer Colonel John Faunthorpe, remains at the AMNH. 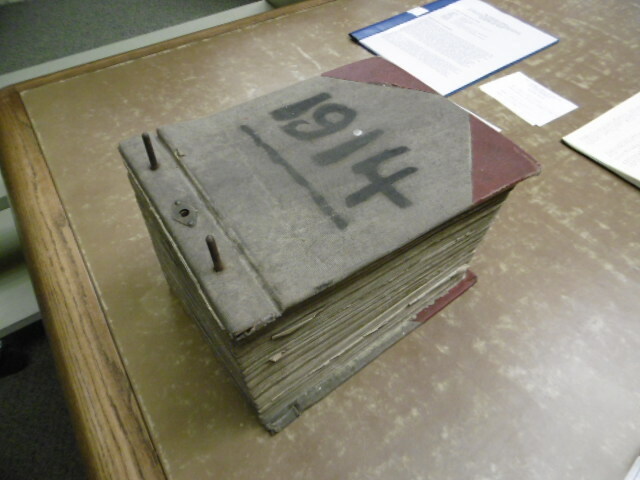 The sales ledgers at Wintherthur contain all the sales made by Arthur Vernay from 1914 until the 1960s; from 1940 the business was continued by Chris Jussel’s father, Stephen Jussel, (Chris took over the business in 1972). The business records prior to 1914 were destroyed by fire, but the remaining early business records are a fascinating research resource, and contain detailed stock books and sales ledgers as well as other ephemera. This example (below) is the 1914 sales ledger, and the copy invoice (image below) is to ‘Mrs J. P. Morgan’ wife of the famous collector; it is dated December 1914 and describes ‘One Chippendale pole screen with petit point frame, circa 1760’…sold for the princely sum of $450. Vernay sales ledger, 1914. Coll 739 04×126.37. Courtesy, The Winterthur Library: Joseph Downs Collection of Manuscripts and Printed Ephemera. Vernay copy invoice, December 1914. Coll. 739 04×126.37. Courtesy, The Winterthur Library: Joseph Downs Collection of Manuscripts and Printed Ephemera. Vernay opened his first shop at East 45th Street, in New York in 1906 (the archives at Winterthur have a printed announcement dated March 1906) – his first premises are shown below. Arthur Vernay, first shop (1906) at East 45th Street, New York. Image c.1910. Coll. 739 07×56 Series IV. Courtesy, The Winterthur Library: Joseph Downs Collection of Manuscripts and Printed Ephemera. 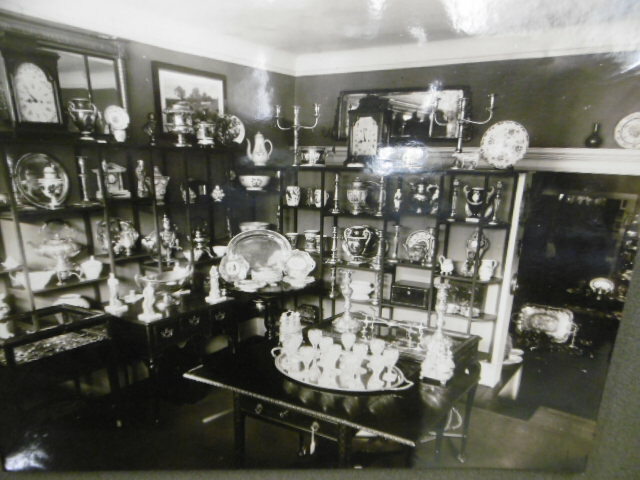 The archives also have some photographs of one of the rooms in the interior of Vernay’s first shop, probably taken in c.1910 – which show what must have been a typical assembly of ‘antique’ objects of interest to collectors and furnishers in the period. Vernay shop interior, East 59th Street, New York, c.1910. Coll. 739 07×56 Series IV. Courtesy, The Winterthur Library: Joseph Downs Collection of Manuscripts and Printed Ephemera. The archives also have a photograph of Vernay’s first delivery van, with it’s own livery! – (Chris Jussel tells me that the van was a Packard type, and was a bespoke model, and quite expensive) – as befitting the culturally significant goods that Vernay sold! 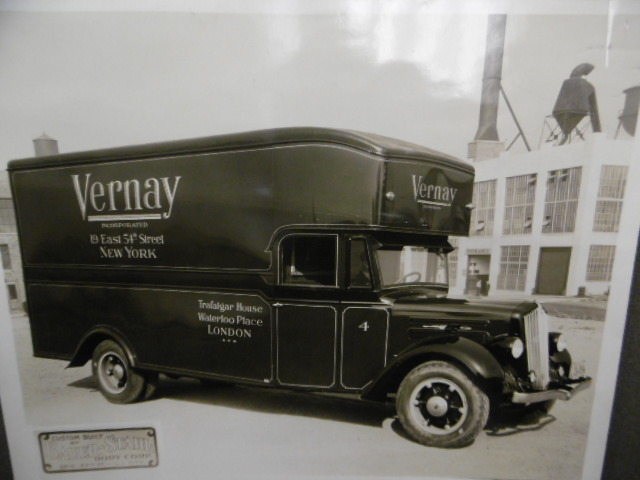 Vernay delivery van c.1930s. Coll. 739 04×56 Series IV. Courtesy, The Winterthur Library: Joseph Downs Collection of Manuscripts and Printed Ephemera. Vernay catalogues, 1920s. Coll. 739 04×126.77. Courtesy, The Winterthur Library: Joseph Downs Collection of Manuscripts and Printed Ephemera. 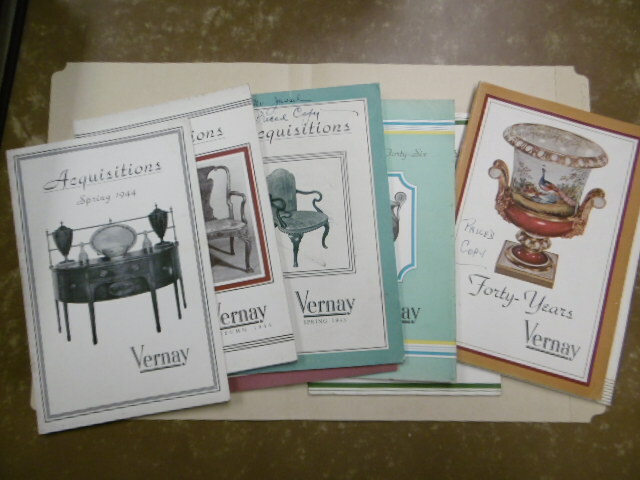 Vernay catalogues from the 1940s. Coll. 739 04×126.123. Courtesy, The Winterthur Library: Joseph Downs Collection of Manuscripts and Printed Ephemera. There’s so much more to say about the Vernay, Vernay & Jussel, and the Wolff archives at Winterthur, they are an astonishing survival, and an amazing resource. We certainly hope to do further research on Vernay, and develop this as a potential ‘case study’ for the forthcoming edited book on the ‘British Antique Trade in the 20th Century’ which will be one of the outputs for this AHRC funded research project. Chris Jussel, in Boston, March 2015. Arthur Vernay, 51 Berkeley Square, London house interior, c.1929. Image courtesy of Chris Jussel. The interview with Chris was fascinating and wide ranging – he told us about the history of his father joining the firm of Arthur Vernay in 1928, and then how the business was continued by his father after Vernay retired in 1940 – before Chris joined the firm in 1972 and renamed the business Vernay & Jussel. Chris consolidated the business in 1978 with the purchase of the then well established dealership J.J. Wolff. Chris closed the business in 1994 to develop other extensive business interests. 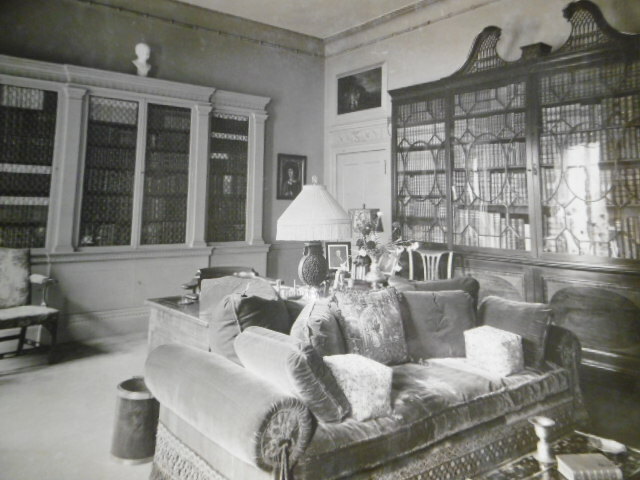 Amongst other antique dealers that Chris recalled were Partridge & Sons, French & co and Stair – some of the most important English furniture dealers in the history of the antique trade. Chris also told us about the complex practices and processes of the antique trade in the period – including some fascinating anecdotes about dealers such as ‘Charles of London’ (Charles Duveen – see previous blog post for some further info on Charles) and many other characters in the trade. 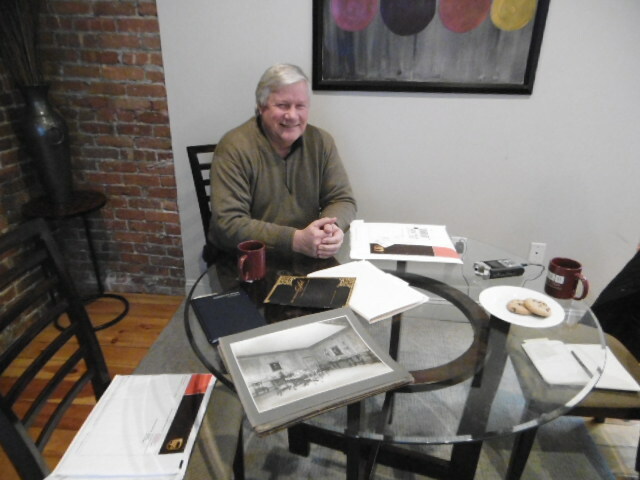 The interview will be a very valuable contribution to the evolving history of the antique trade! 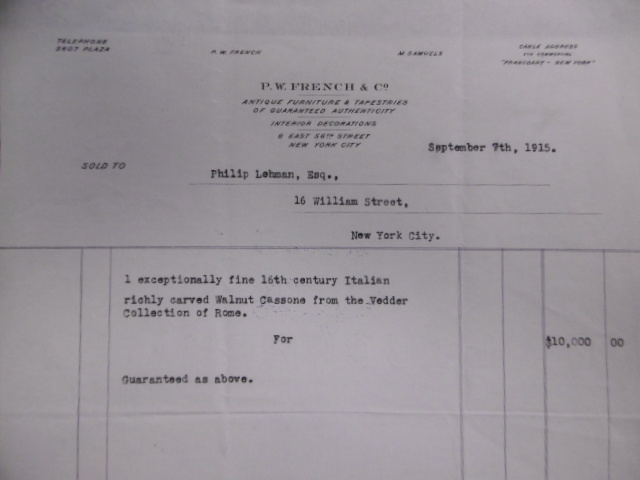 Following the blog post on ‘searching for Duveen’ in the streets of New York I thought it would be interesting to find the former locations of some of the other antique dealers I encountered in the archives at the Metropolitan Museum of Art in New York – it’s also the opportunity to share some of the fascinating archive documents in the archives (thanks again to Melissa Bowling, one of the archivists at the Met Museum for helping with the research for the Antique Dealer project!) Most of the dealer galleries dating from the early part of the 20th century seem to have been demolished in the continual processes of renewal of the architectural landscape of New York city, (as you’ll see in the comments below) – but I did find one building that still remains (although no longer the premises of an antique dealer). Some of you may know of the dealership ‘C.Charles’ – he was a brother of the famous Joseph Duveen; he was, apparently, not allowed to use the trading name of ‘Duveen’ (there’s only ONE Duveen I guess), so began trading as ‘C. Charles’ in London in the opening decades of the 20th century, and by the 1930s was trading as ‘Charles of London’ in the USA. 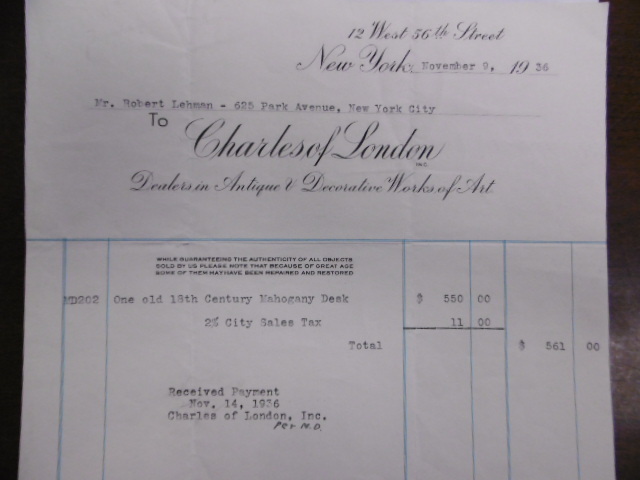 Here’s a fascinating invoice from ‘Charles of London’ dated November 9th 1936, for an ‘Old 18th Century Mahogany Desk’, sold to the famous American collector Robert Lehman for $550 – (I couldn’t trace this object in the Met Museum collections….). 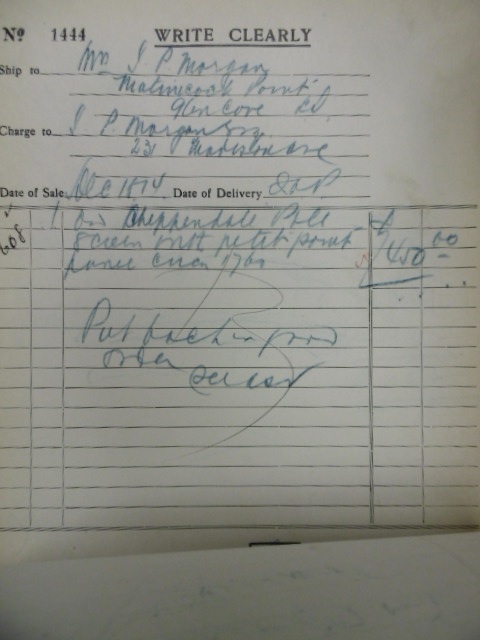 Invoice ‘Charles of London’ November 9th, 1936. Box 37, Folder 12, Robert Lehman Papers, The Metropolitan Museum of Art Archives. Courtesy of the Metropolitan Museum Archives. In my walks around New York searching for the locations of former antique dealer galleries I found Charles Duveen’s gallery at 12 West 56th Street – a very elegant (as one might expect) building, designed in a similar vein to Joseph Duveen’s spectacular purpose built gallery on 5th Avenue (see previous blog post). 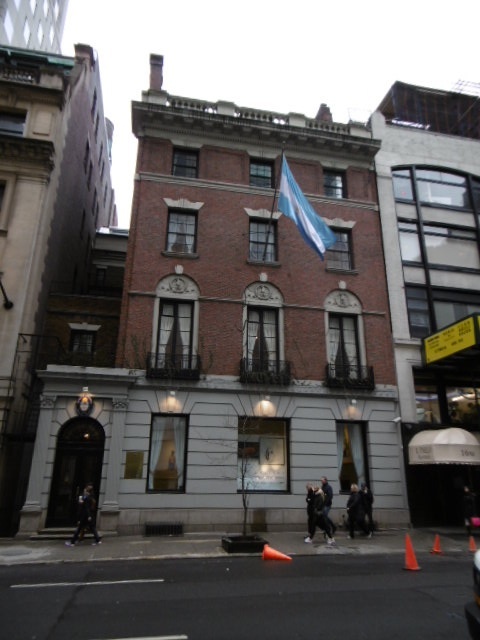 Charles of London former gallery at 12 West 56th Street New York. Photo MW March 2015. Former location of French & Co (1916). Photo MW March 2015. Invoice, French & Co., 1916. Box 4, Folder 16, Durr Friedley Records, 1906-1918 (1917-1918) The Metropolitan Museum of Art Archives. Courtesy of the Metropolitan Museum Archives. (I’ll come back to the contents of the invoice itself in another blog post…). 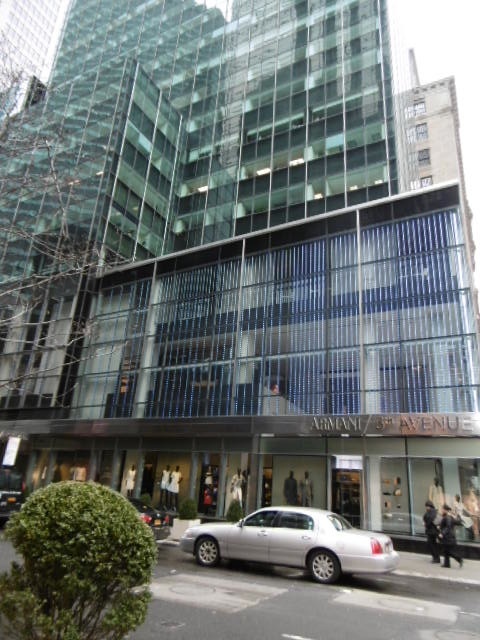 French & Co had moved to 210 East 57th Street by the 1930s, but again the building they occupied no longer remains…..
Former location of French & Co, 210 East 57th Street, New York in the 1930s. Photo MW March 2015. 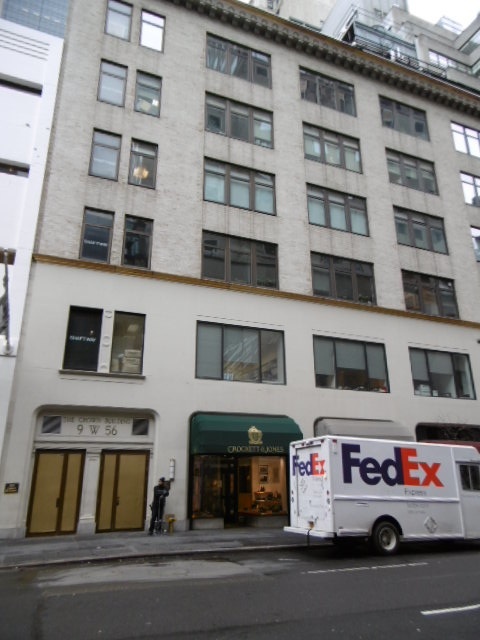 And here’s the former location of the dealer A.S. Drey, ‘Antique Paintings and Works of Art’, who, according to a note in the Metropolitan Museum of Art Archives moved to 680 5th Avenue, New York in 1929. The location is now occupied by shops and offices. Former location of A.S. Drey, 680 5th Avenue, New York in 1929. Photo MW March 2015. 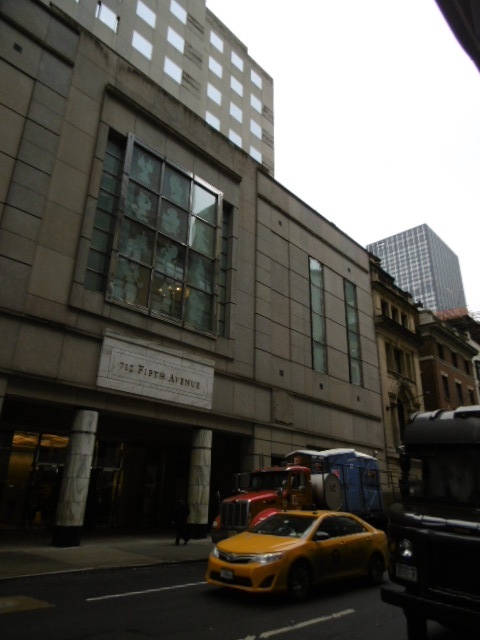 And, just for the record, I also found the former New York locations at 6 West 56th Street for Frank Partridge & Sons (they were at this address from at least the early 1920s until at least the late 1960s – Partridge & Sons, like many of the dealers highlighted in this blog, are no longer trading). 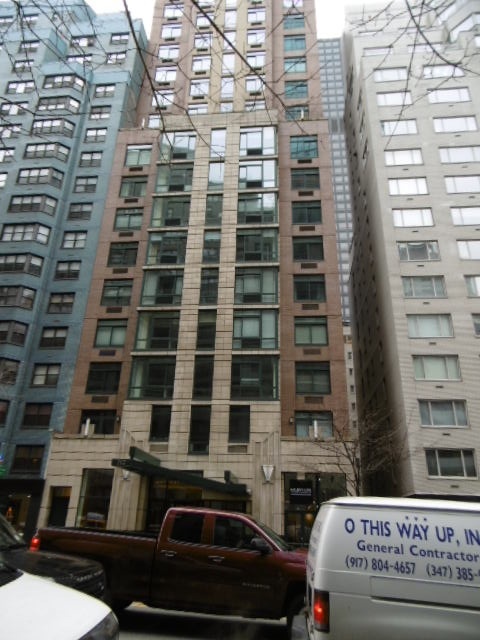 Former location of Frank Partridge & Sons, 6 West 56th Street, New York. Photo MW March 2015. And the locations of ‘Arnold Seligmann, Rey & Company Incorporated’ trading at 7 West 36th Street, New York in 1916, are now shops and offices…. Former location of Arnold Seligmann, Rey & Co., 7 West 36th Street, New York. Photo MW March 2015. 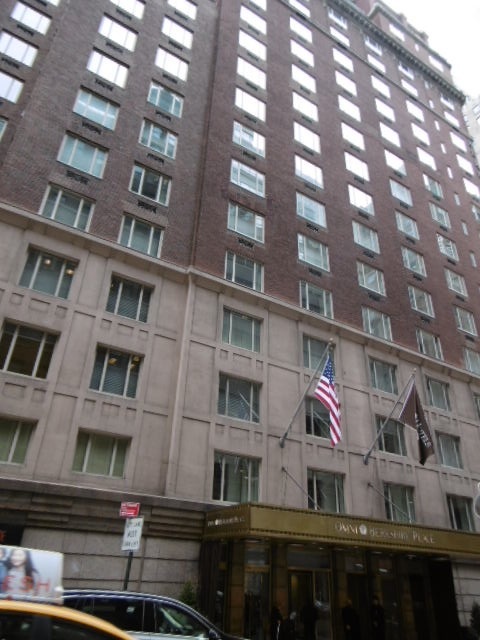 Likewise the former location of the antique dealer and interior decorators ‘White Allom’ (led by Sir Charles Allom) at 19 East 52nd Street, New York in 1914, are now occupied by an hotel. 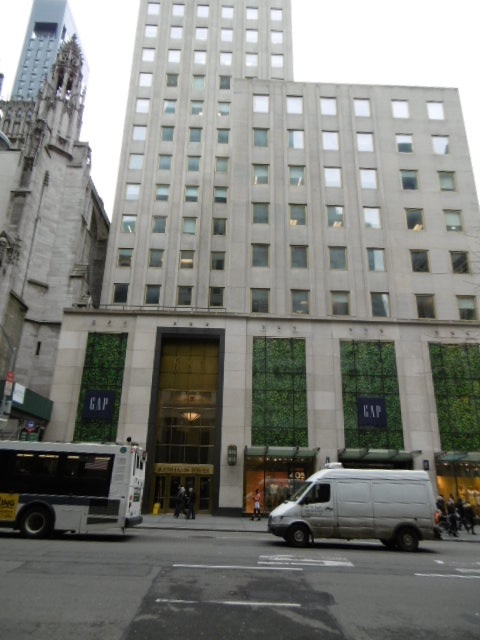 Former location of the galleries of White Allom, 19 East 52nd Street, New York in 1914. Photo MW March 2015. As you can see, the archives at the Met Museum were a catalyst for a fruitful perambulation around a (very cold) New York….